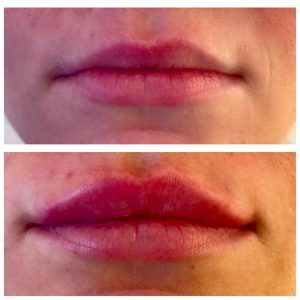 Dermal fillers can be used to increase the volume and definition of lips. What happens when I have the treatment and will it hurt? A numbing cream will be applied to the area to be treated 30 minutes before your procedure. A dental block can also be used, this completely numbs the lips but may create slightly more swelling. Most dermal fillers for lips also contain local anesthetic within the gel, which, once injected numbs the area. Lip filler will then be injected into the skin. You will be able to see the effects of the lip filler straight away but the results will improve over the next few weeks. After treatment your lips will be red and swollen, sometimes bruising can occur. The swelling tends to be greatest the day after the procedure, so you must consider carefully when to have treatment as you may need some downtime a day or two after. Any swelling and bruising tends to subside after a couple of days but can take up to two weeks to fully settle. I advise that you delay any dental treatment or treatment around the mouth for up to two weeks post treatment and once the product has fully integrated. This will depend on the individual client and their habits, the area treated and the type and amount of dermal filler used. In general lip fillers last between 6-12 months. Yes. As dermal fillers don’t need to be ordered via prescription if, in stock, it is possible to have treated the same days as the consultation. 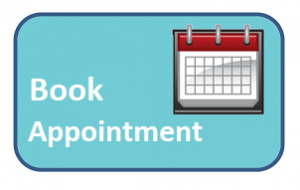 However, it is encouraged that you take some time to fully consider your treatment options and therefore make an additional appointment for your procedure.